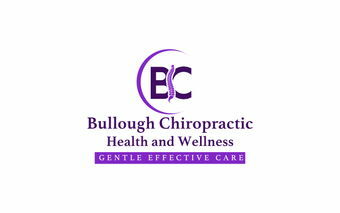 Dr. Jerry Bullough, D.C. is a licensed Chiropractor who has served the Layton/Kaysville community since 1983. He graduated from Weber State College with a BS in microbiology before being accepted into Chiropractic School at Palmer College of Chiropractic in Davenport Iowa. He received his Doctor of Chiropractic degree, (DC) in1979 then practiced as an intern/associate in Northern California for 2 years before coming home to Layton. He has continued his education in healthcare with attendance of chiropractic/whole healthcare classes several times a year. He has experience and skill in freeing people from pain and promoting optimal health and well being of patients. Chiropractic adjustments/spinal manipulation are performed painlessly and gently and adapted to each patients specific needs. Therapies such as electrotherapy, ultrasound therapy, traction therapy, and Spinal Decompression are available when needed. Rehab execises are taught and nutritional supplements are available in order to treat the "whole person". Dr. Bullough is able to help you recover from injuries and maintain better health. Many years of experience have enhanced his knowledge and skills so that he may care for you effectively, gently, and affordably.